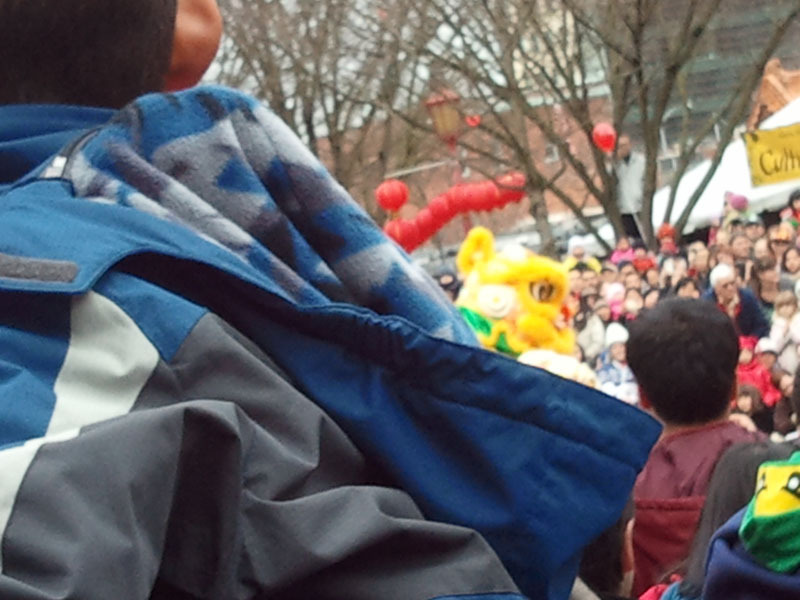 Although I grew up in a nearby neighborhood, I hadn’t been to the Seattle International District’s Lunar New Year Festival in decades. When Jane initiated an ad hoc sketch meet-up near the Lion and Dragon Dance stage, I decided it was high time to see the festival again. 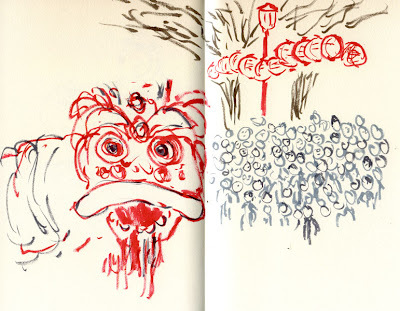 But something happened in the decades since I was last there – the crowd grew by a thousand-fold! I met two sketchers, Kate and Connie, at the meeting location, and we quickly staked out some space on the bleachers that looked like it would give us an ideal vantage point. Even though I was standing most of the time, this photo shows what I was able to see! I bumped into a couple other sketchers on my way out, but due to faulty communications (I couldn’t hear my phone ringing amidst the firecrackers and other noise), I missed Jane completely. But I had fun and managed to get a sketch of a lion. Sorry we missed you, Jane! 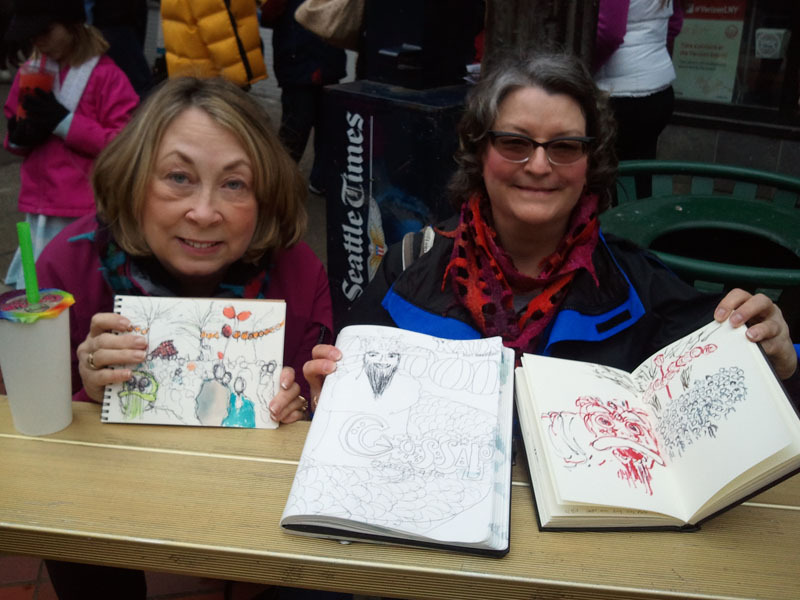 Connie and Kate with our sketches from the bleachers. Your dragon makes me smile. Well done crowd, too. Thanks, Peggy! I think it was the most crowded sketch I've ever attempted.